Thank You to Louise & Rosie for this lovely article. 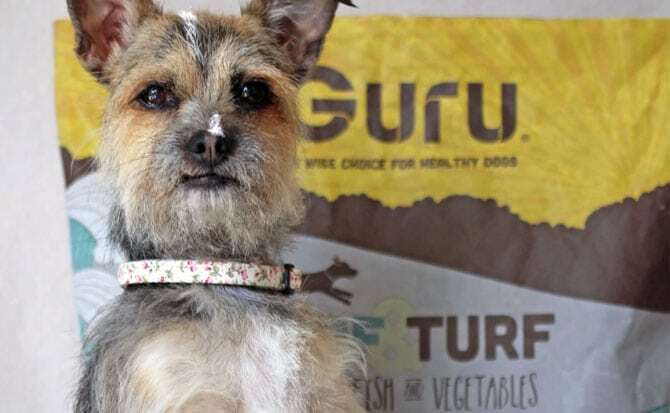 I’m a big fan of Guru and I have mentioned it a few times on social media, Rosie has now fully converted to the surf and turf recipe – it’s been a big hit with my rather fussy girl! When first finding Guru through Instagram I was very intrigued and got talking to Lisa about whether it would be suitable for Rosie as she is quite small, we soon arranged for her to try a sample. 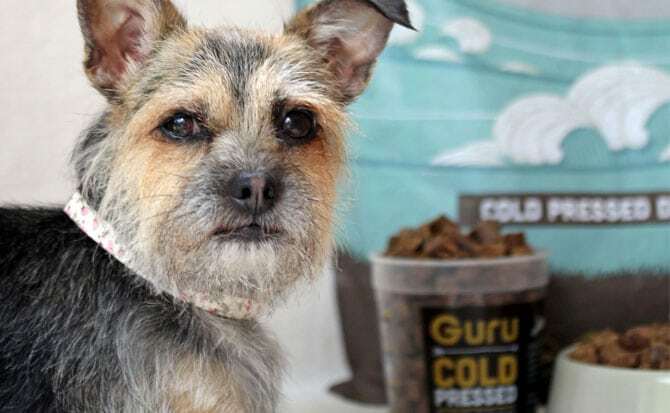 I looked at the website and was really impressed with what I saw, I had not really heard of cold pressed dog food before but the benefits sounded great and the fact it contains all natural ingredients excited me. Rosie had no problems with her old food, it was specific to her size and being a small dog she doesn’t usually get on well with standard bigger kibble. She never went mad for it and there was usually some in her bowl throughout the day. I had always had my doubts about it but never really looked into changing as she seemed to be doing fine on it, also I didn’t think it was a ‘bad’ brand. 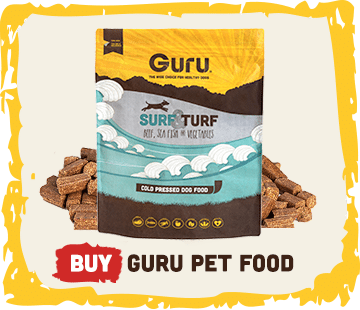 After receiving the Guru sample and seeing how much Rosie enjoyed it I thought I would seriously look into switching to her to Guru, that’s when I came across AllAboutDogFood.com. I spent ages looking through this website comparing food she had tried before – which was a lot when she was younger as she had no real interest in any of them. I was totally shocked to see that Rosie’s old food was rated just 1.8 out of 5!! I felt like an awful dog mum that I had been feeding her this stuff for so long. Guru has a rating of 4.9 which is brilliant and we can see why. The ingredients list is clear and full of natural goodness with lots of benefits for our dogs health. After finding out more about both foods I was keen to convert Rosie to Guru as soon as possible, I tried slowly introducing it into her usual kibble increasing the percentage of Guru each day. However the whole introducing it slowly didn’t go too well, this is because Rosie absolutely refused to eat her old food. She picked out every last morsel of Guru and disregarded her old food completely. I have to admit, I thought I was going to have to pay a high price to get Rosie switched to this premium quality cold pressed food but to my pleasant surprise the price is extremely reasonable, you don’t have to feed as much Guru as standard kibble because of all the brilliant nutrients packed into every bite. AllAboutDogFood.com also tells you roughly how much it costs a day to feed your dog on the food, Rosies old one was about 46p a day and now she is on Guru it is only 16P, so that’s another thumbs up. The feeding guide on Guru makes it so easy to find out how much your dogs needs a day, just use the slider and you’ve got your answer – brilliant! I have never known Rosie to love her every day food so much as this, it makes me so happy to see her trotting to the kitchen when she hears it go in the bowl. With her old food sometimes half her breakfast would still be there when it came to dinner time, its a revolution…she even gets out of bed for Guru so it must be tasty! The pieces of Guru are all different sizes, some of which Rosie has to chew on a bit more, I really think this helps to keep her interested in the food and stops her from gobbling it down too quickly. Rosie was lucky enough to win a couple of field trip bones in an Instagram competition with Guru. They are great for when we are out and about as they are a complete meal for her so I don’t need to faff around worrying about taking her food too, plus they keep her occupied! 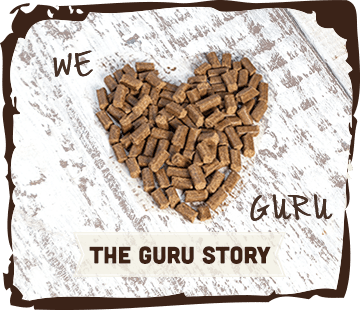 I couldn’t be happier about finding Guru – a food that I am truly happy to feed my dog and she is super happy to eat. It has been Rosie’s food for a couple of months now and she still enjoys as much as she did on day one, I’m thrilled to be feeding her on a food that I can trust to not have all the added nasty bits like other regular kibble – it really is good honest food. I urge you to take a look at AllAboutDogFood.com and find out how your dogs current food compares to Guru, you may be surprised like myself. I hope you have enjoyed reading about our experience with Guru, there is so much more I could tell you about why I love this fantastic UK brand but there is loads more interesting information on their website here and the super lovely people behind Guru will be more than happy to help if you have any questions. 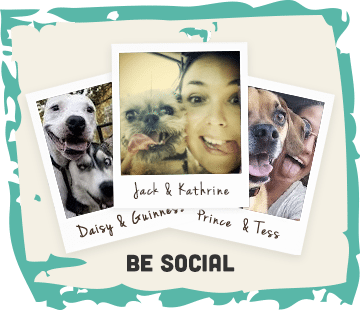 Perhaps you should give your dog a treat and let them try a sample and see what all the buzz is about! Everything about Guru gets 10 out of 10 from us, and if you haven’t noticed already, both Rosie and I really can’t recommend them enough.